I have nothing much to write. Every one of us can't have a full size 80m dipole (even me). This is not good as a full size one, but it is much better than no antenna. HI! The longest dipole that I can fit on my terrace, albeit with a dog leg between the dipole halves, is 2 x 10 m (2x 33 ft), i.e., about ¼ wavelength. As always, I use a choke balun in series with the coax. The antenna above has been described by Nadisha, 4S7NR and may be of interest to anyone wishing to get on 80M (3.5MHz) that have limited space available. L1 is 12 feet. L2 also is 12 feet and the overall length is 48 feet. 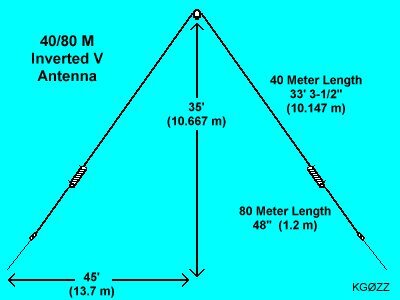 This 40 and 80 meter inverted V antenna is made with loading coils. It is a full size antenna on 40 meters and a shortened 80 meter antenna. Dit antenne ontwerp is robuust, goedkoop, snel op te bouwen en daardoor zeer geschikt voor DARES activiteiten. Er is geen antennetuner nodig want de SWR is bij juiste afstelling altijd beter dan 1.5 door het variëren van de lengte aan de uiteinden met een M4 boutje en een vleugelmoertje . 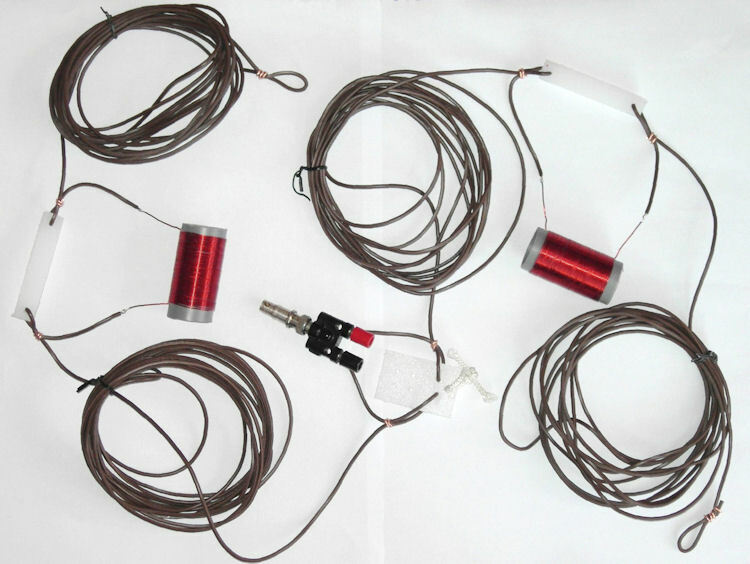 The loading coils and the end wires extend the operation of the half-size G5RV antenna to the 80m band. 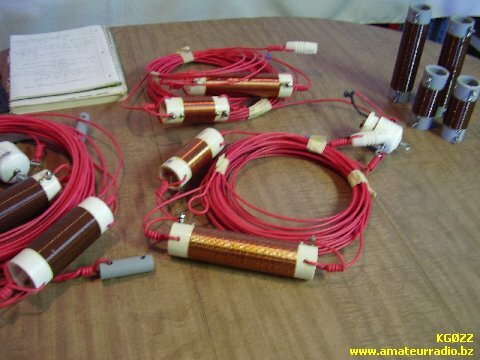 The end wires should be trimmed for resonance on the required part of the 80m band. I have tried a number of dipoles for the 80 mtr band on my terrace. Given the size of my terrace, a full-size dipole basically out of the question. For the same reason, installation at a decent height ( > 0.2 λ) is also impossible. Dit is een verkorte dipool antenne voor alle amateur banden die gevoed wordt door een symmetrische voedingslijn. Dit verkorten gebeurt door aan het einde van de dipool twee spinnewebspoelen te plaatsen. 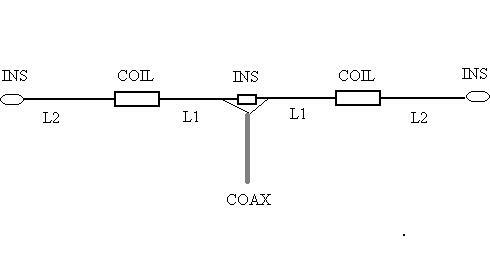 This coil-loaded inverted V dipole antenna is a resonate antenna that does not require the use of an antenna tuner. 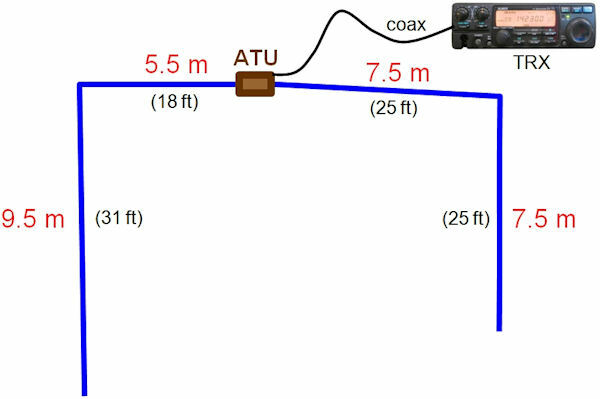 It will work all of the 40 meter band plus a portion of the 80 and 160 meter bands. This reduced-size 80-meter antenna is designed for small building lots and portable use. It’s a fine companion for the Warbler PSK31 transceiver.